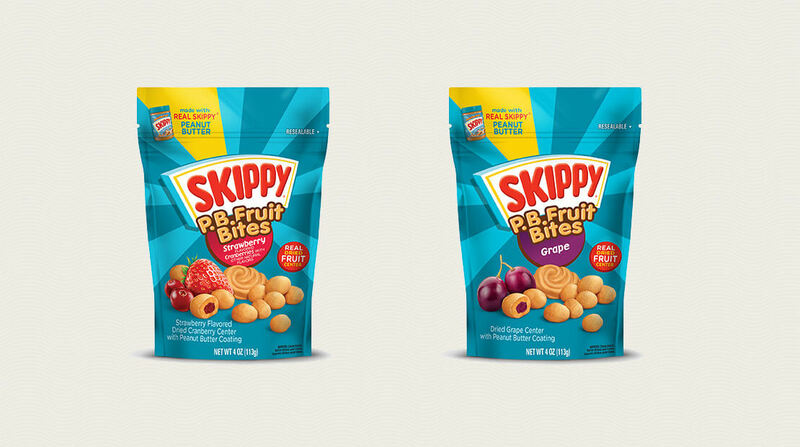 Hormel Food’s Skippy brand has released a new fruit-filled peanut butter snack, inspired by the classic combination of peanut butter and jelly. Skippy P.B Fruit Bites feature pieces of dried of fruit which are then coated in Skippy peanut butter to replicate the iconic peanut butter and jelly flavour in a convenient snack. Two flavours will initially be available in the new line: strawberry-flavoured dried cranberry and dried grape, both of which will contain 4g of protein per serving and come packed in 4oz resealable packets. Aly Sill, brand manager at Hormel Foods said: “We took the classic peanut butter and jelly flavour and created a convenient, on-the-go snack, combining the undeniably smooth taste of Skippy peanut butter and real dried fruit.